Ruby Skye, the turn-of-the-millennium club at 420 Mason St., and its companion bar, Slide — both of which closed earlier this year, will shortly become two new venues, August Hall and Fifth Arrow. 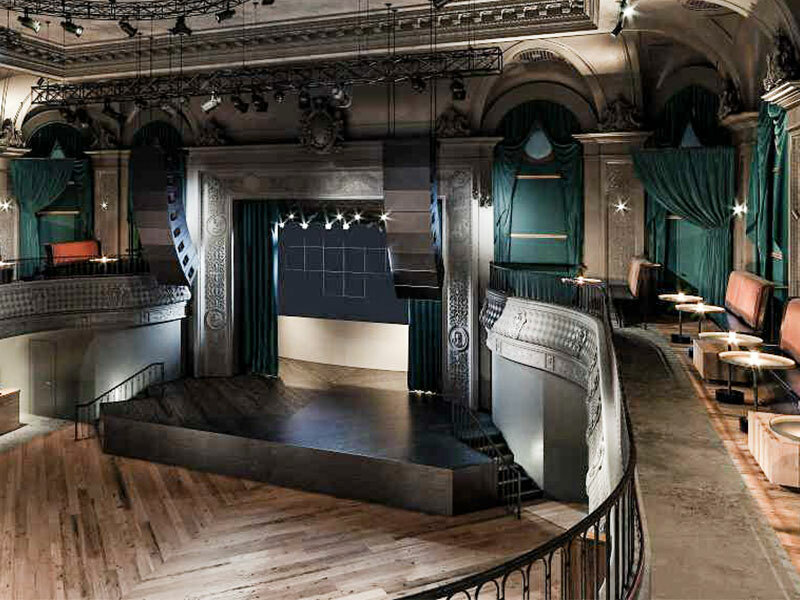 A project by Live Nation Entertainment and locals Nate Valentine, Scott Murphy, Justin Roja, and Chad Donnelly, August Hall will be a “live music and special event venue,” while Fifth Arrow is set to be come a “cocktail, dining, and gaming parlor with three bowling lanes. In other words, something terrible went away and something potentially really cool will replace it. Isn’t that refreshing? Stacked on top of each other near Union Square — inside the circa-1890 Native Sons of the Golden West Building, which has housed theaters and clubs going back to the Second World War — the two will open in the spring. August Hall is named for architect August Headman, and the combination of 19th-century grandeur with 21st-century tech savvy will be able to accommodate upward of 750 guests for concerts plus up to 1,000 guests for dance events. All signs point to bottle service, although there will be three bars plus food. Meanwhile, Fifth Arrow — a former speakeasy from the 1930s — takes its name from a “popular target point used by bowling aficionados for optimal scoring.” The team behind it has experience at numerous S.F. venues, such as Mamacita, The Tipsy Pig, Harper & Rye, Rambler at the Hotel Zeppelin) as well as event-production (Deckstar, Eventbrite) and music festivals (Snowglobe). Current renderings of the space appear dark and a little moody, evoking a classical atmosphere with a bit of mystery.